George Sperling (b. 1934) is an American cognitive psychologist based at the University of California, Irvine. In the early 1960's Sperling began to explore the existence of iconic memory - a very short term form of visual memory. After a broad undergraduate science education at the University of Michigan he went on to do an MA and PhD in psychology (the latter at Harvard). As he says on his faculty page at Irvine; "My goal then, as now, was to apply the quantitative and theoretical methods of the hard sciences to the analysis of cognitive processes." The following is an example of his early 1960's work. 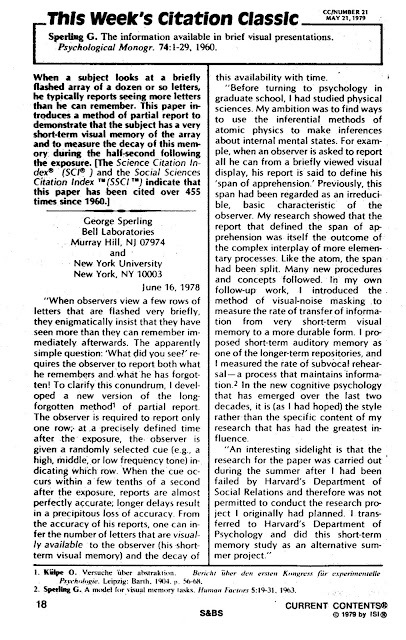 It is a Current Contents citation classic write up of Sperling, G. (1960). The information available in brief visual presentations. Psychological Monographs: General and Applied, 74: 1-29. 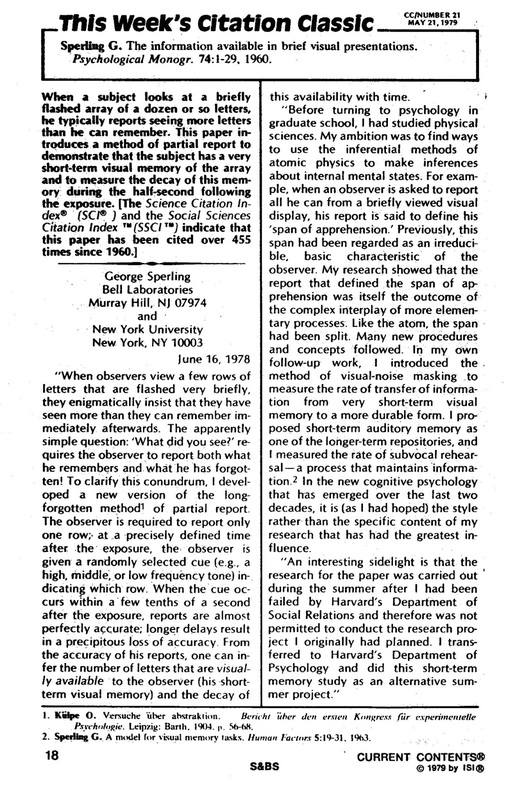 This citation classic was published in 1979, when Sperling had a joint appointment between New York University and Bell Labs.